Again, the cocktail show hit the road for the weekend. My friend happened to pick up a new Tonic Syrup that I had not yet had the pleasure of tasting. There’s a great story about who Jack Rudy was. I won’t ruin it for you, but suffice to say that you can’t help but smile a bit while reading it. Probably not the character behind the syrup that I might have expected, but the syrup really does stand on its own. Interestingly enough, I found it to be a stark contrast from some of the other tonic syrups I had. The flavor is mild, more herbal. There isn’t that strong bitter note on the palette that other tonic syrups might have. There was a warm lemongrass and citrus flavor that reminded me a little bit of the notes in Fentiman’s Tonic Water. 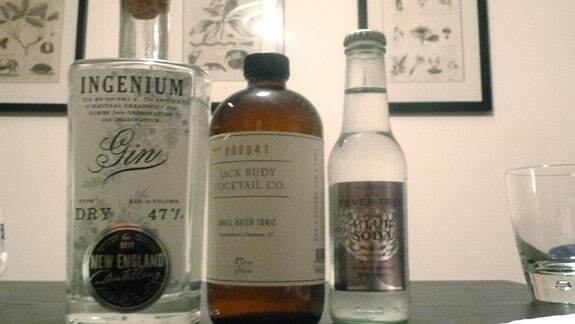 What is rather unique, especially among tonic syrups, is that Jack Rudy’s syrup has a layer of sweetness. I felt that it was a bit out of place when sipping the syrup straight (as I do, I take my tasting it quite seriously). I wanted a little bit more of the emphasis on the quinine and a little bit more bitterness. The body was lighter and smoother than other comparable syrups on the market. That being said, I could see this Tonic Syrup appealing to the mild tonic drinker who might like something a little less harsh than Q Tonic, or a little less woodsy than Tomr’s or Liber & Co’s syrups. I feel that the advantage of tonic in syrup form is that you can dilute it to taste with Club Soda, or strengthen it taste (with less of the aforementioned soda). 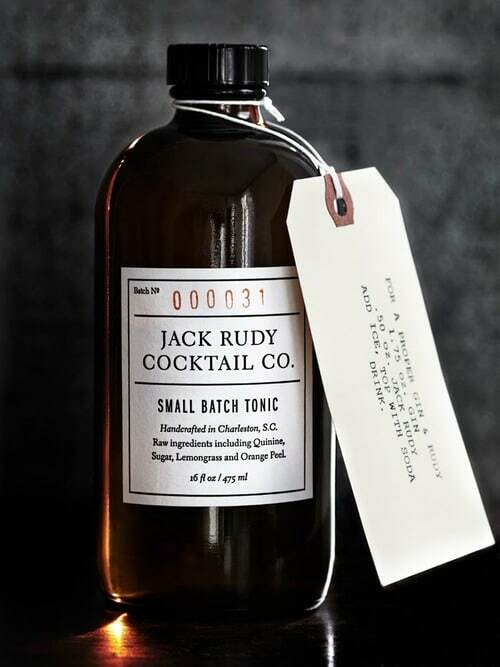 Jack Rudy’s syrup is easier going in the first place, which means that you also need less Club Soda, but also puts itself at risk of being lost, overpowered, or shadowed by a more powerful gin. 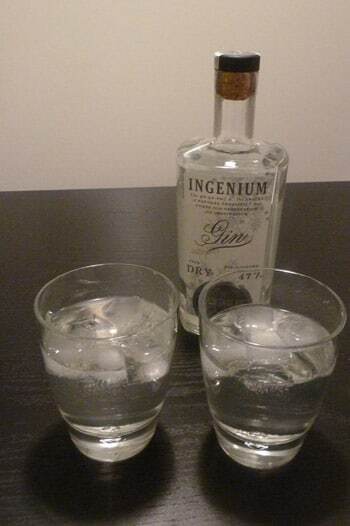 I thought that the notes of Ingenium Gin complimented the syrup, and Jack Rudy’s tonic syrup makes a perfectly good G&T. But I felt that I wanted it to take the herbal notes to an extreme and take a decisive stance or I wanted a bit more quinine. I think that this syrup will appeal to the G&T drinkers in search of something a bit more “craft” and “unique” but who don’t necessarily want something that is more challenging to get into. Availability: In specialty grocery stores that specialize in high end cocktail items, and through the Jack Rudy Cocktail Co. Website. Rating: An easy going craft tonic syrup that will appeal to casual G&T drinkers. The text of your review is much more complimentary than your two-star rating suggests it would be. I tend to agree with your harsh star rating — this tonic had very little to recommend it as far as my tastes go. It isn’t nearly bitter enough, what herbal notes it has are mild to the point of being too faint, and you have to use more of the syrup than they suggest to produce any flavor so that it isn’t economical, either. I wouldn’t suggest this syrup to anyone who wants even a mediocre g&t, though it may appeal to vodka drinkers who want to mix this with a weak gin in order to take a baby step into the gin world. I love Jack Rudy and use it exclusively now with either Sapphire or Gordon’s.